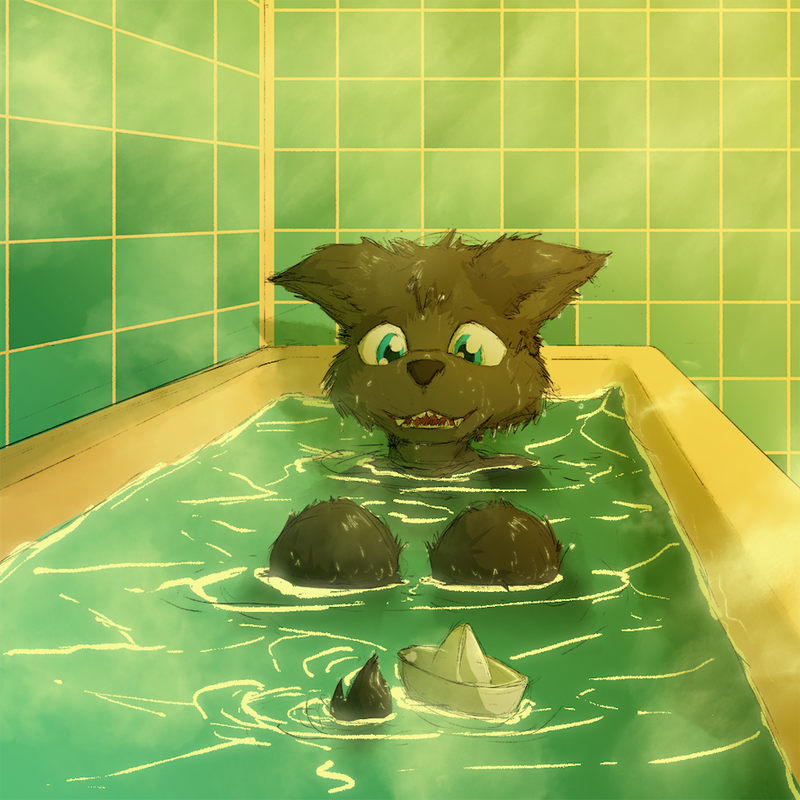 Sometimes a warm tub is all one woof needs. X3 hehe small ship~ id have to be micro oooey! Nyuh, just jump inside the tub. Hehe okay then! --Woah! *lifts it up in the air on his tail because extendy* Its an airship now! o: Woosh! I really need to take a bath again. Showers aren´t nearly as relaxing as a nice hot bat. hygeine is important! don't skip on any parts! Uhum, I'll clean thoroughly under my claws. Reporting fur Duty, Captain! Is there anything i should do? Turn the ship to starboard! Turn the ship to starboard! ... The other starboard! Happy to help, it works now <3 yay! Cute overload!! Love so so much. Time for the spa next? Totally gotta make waves to tip over the boat, thats half the fun!